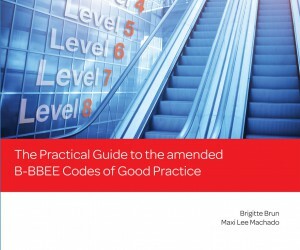 South Africa’s first and only book on the Amended Broad-Based Black Economic Empowerment Codes of Good Practice, which also links to a scorecard calculator application, aims to help users understand the new regulations as well as calculate their B-BBEE scores. South African organisations will be audited for compliance using the new codes from April 2015. 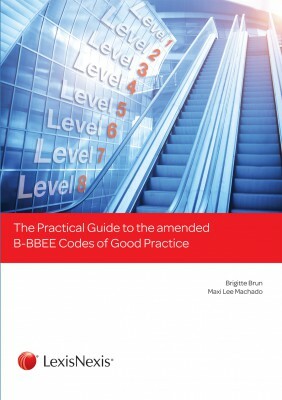 This book, The Practical Guide to the Amended B-BBEE Codes of Good Practice, published by leading content and technology solutions provider, LexisNexis South Africa, is a must for those needing to understand and apply the new transformation regulations, as well as BEE registered auditors. The authors, Brigitte Brun, Chief Operating Officer of a SANAS accredited and IRBA approved Verification Agency, and Maxi-Lee Machado, Managing Member of ET Consult, have years of experience in B-BBEE consultancy and the verification process advisory. Key benefits of the book and linked calculator application are that they enable organisations to calculate their B-BBEE score easily, before they reach the verification stage. The toolkit includes a scorecard comparison schedule covering every issued sector code enabling users to track progress and take appropriate action to ensure compliance and continuous improvement. Users can also access the latest legislative changes using a website address provided in the book. The book has been endorsed as an essential tool for all South Africans involved in the business field by Sandile Zungu, Executive Chairman, Zungu Investments Company (Pty) Ltd, and member of the Presidential BEE Advisory Council. The book is available through the LexisNexis online bookstore at a cost of R855. An account is not required to make a purchase in the online bookstore.